Question: I have had difficulty reliably measuring the level in lift stations and was wondering what you have for such an application? Answer: We hear this all the time from customers who have tried to use standard submersible level transmitters with a small diaphragm and a plug on the end with small holes for sensing the head pressure in a lift station application. Because of the wastewater present in lift stations, these types of submersible level transmitters, which are ideally suited for clean water applications, often get plugged up rather quickly, causing errors. 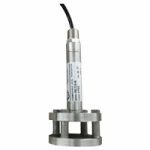 Given this challenging application and focusing on developing innovative solutions that meet our customers’ needs, Dwyer developed the Series PBLT2 Submersible Level Transmitter. The PBLT2 is perfect for wastewater and slurry applications with features to protect the unit from these demanding applications. It is designed with a large diameter 316 SS diaphragm seal which is non-clogging and damage resistant to floating solids. The PBLT2 also incorporates lightning and surge protection which is very beneficial especially for lift station applications. We have several different models readily available based on the range and cable length, or customers can build their own custom part utilizing our online configurator. For non-stocked and custom configured models, we can usually ship them in 1 – 2 weeks. Please remember, it is always a good idea to review a product’s complete specifications to ensure compatibility with the application’s requirements. 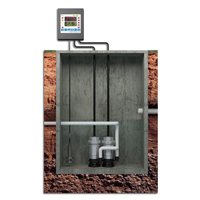 This information and more can be found on our Series PBLT2 Submersible Level Transmitter webpage. Previous PostPrevious What is Radon, and Why are We Testing for it in Our Homes?